Japanime has a whole anthology of games up on Kickstarter now. 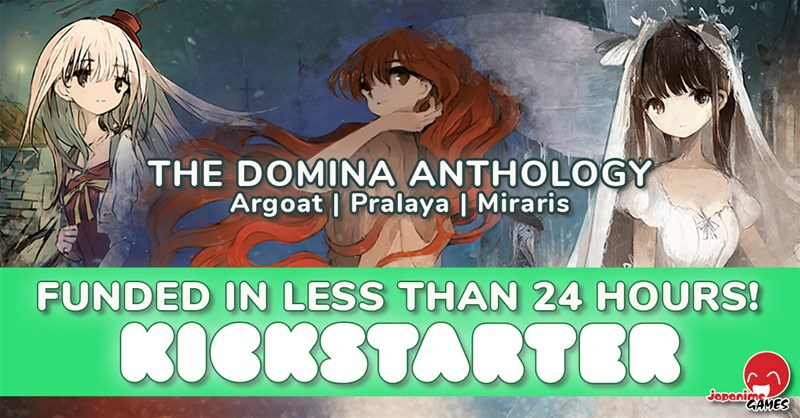 It's called The Domina Anthology, and it spans through Argoat, Miraris, and Pralaya, a trio f card games that you can play in a row, or separately. Check out the campaign. Japanime Games is thrilled to be working with Domina Games, building a partnership to bring their beautiful games to our fans, and we're starting with three of our favorites! Explore Frontier Town in the hopes of finding Eden in Argoat; escape a sinking island while rescuing precious relics in Pralaya; or take a wander through the Wonders of Miraris! As you can see from the featured image there, the games are over their funding goal with 12 days left to go.